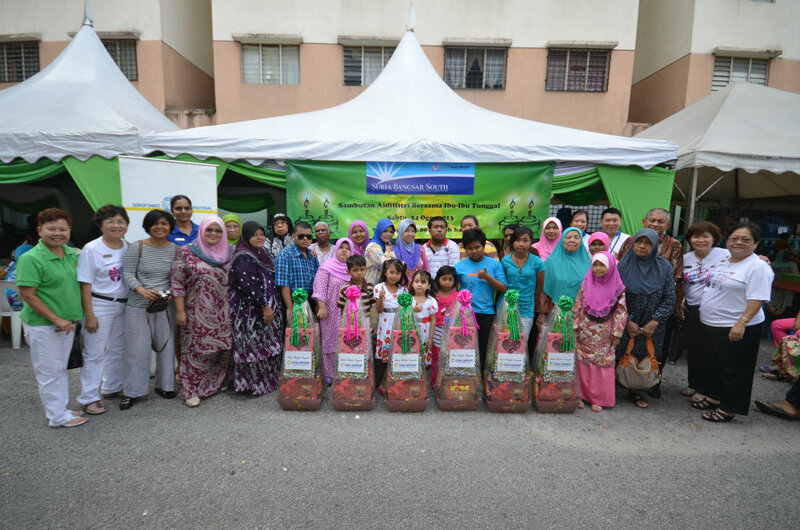 In conjunction with the Hari Raya festive celebration, a charity bazaar was held in August 2013 at The Sphere, Bangsar South to provide assistance to single mothers and their families from the Kampung Kerinchi community. The homemade food and gift items were sold by the single mothers at the bazaar organised by Suria Bangsar South, a community centre operated by Soroptimist International Club of Bangsar South (SICB) and sponsored by UOA. Proceeds from the sale at the bazaar were channelled to the participating single mothers to ease their fi nancial burden. More than 120 single mothers and their children were also feted together with SICB and UOA staff at Suria Bangsar South. They were later presented with Raya hampers while the children received a token sum of money or duit raya.